Ideal for a stop-over with its location at the intersection of North-South (A71) and East-West (RCEA) highways. 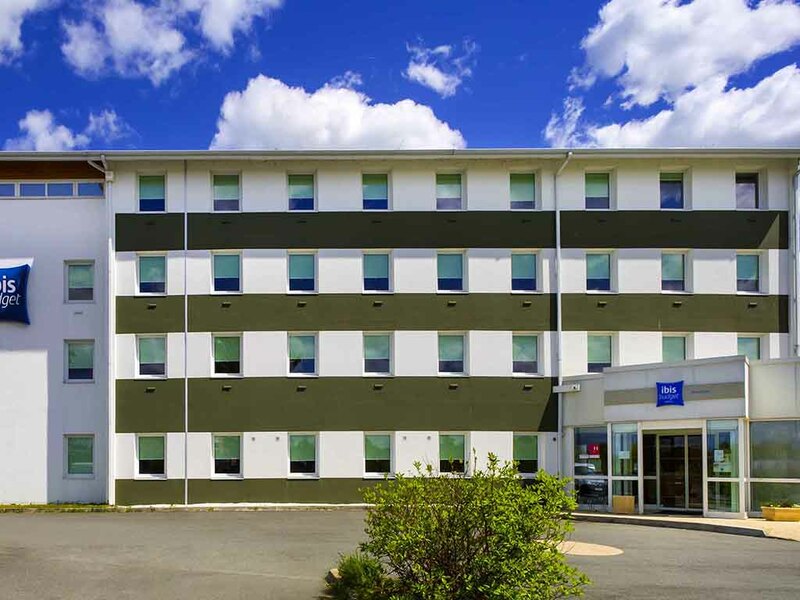 Whether travelling on business or with family, we will be happy to welcome you in one of our 64 rooms, featuring a bathroom with shower and sin k, separate toilet and TV for a very affordable price. Gourmet buffet breakfast, can be enjoyed on the terrace - weather permitting! Free and secure car park, air conditioning, free WIFI, vending machines with drinks and snacks and 24/7 reception. Boas condições de limpeza e serviço de recepção. Protesto contra o facto de não poderem colocar na factura o numero fiscal, enquanto que no Ibis Budget de Leverkusen foi possível colocar o numero fiscal, nome da empresa, etc. Acessos rodoviários ao Hotel não são bons desde saída auto-estrada, rotundas por acabar, sinalização errada.